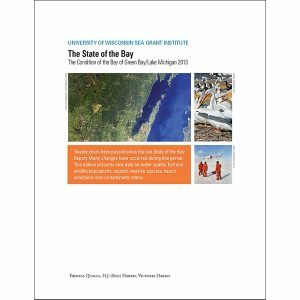 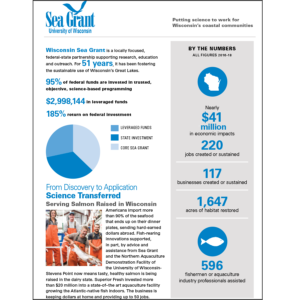 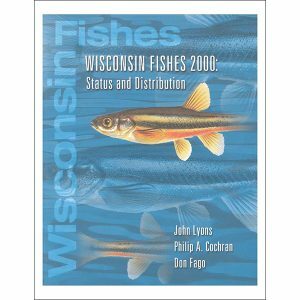 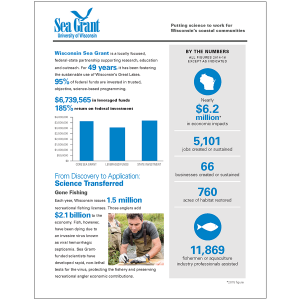 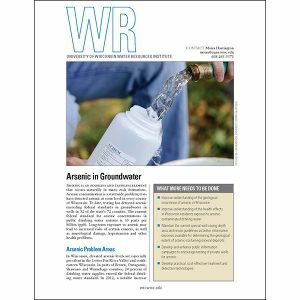 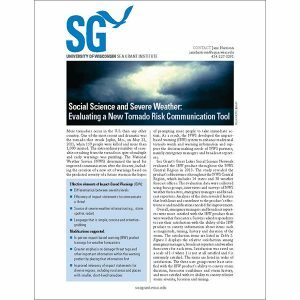 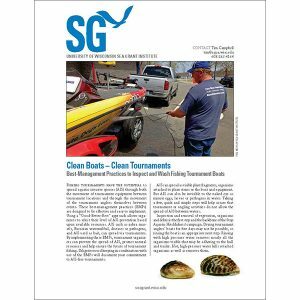 This website features an annotated, illustrated collection of the most popular publications from the University of Wisconsin Sea Grant and Water Resources institutes, including books, brochures, directories of current and past research projects, fact sheets and posters. 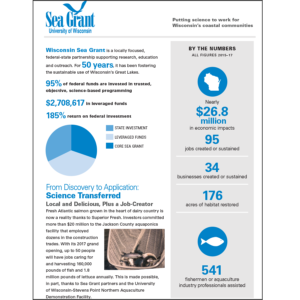 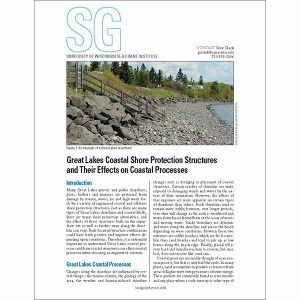 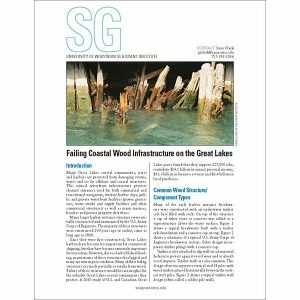 The materials here are free, downloadable or available for a minimal cost so that you can more easily learn about and sustainably use Wisconsin’s coastal and water assets. 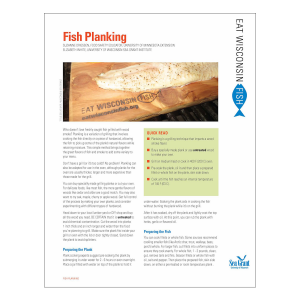 There’s a lot to love about Wisconsin fish. 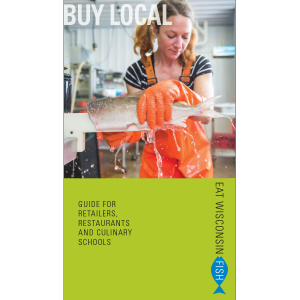 Learn when, what and where to buy locally sourced seafood and read profiles of some producers and suppliers. 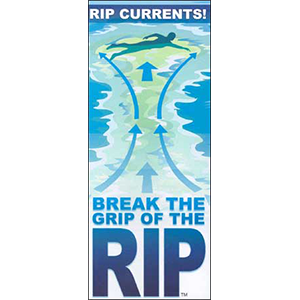 How to identify a rip current and what to do if you get caught in one. 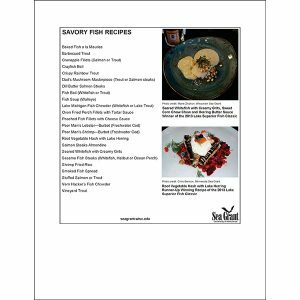 This document contains 22 fish recipes to try and enjoy. 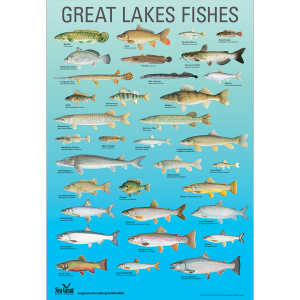 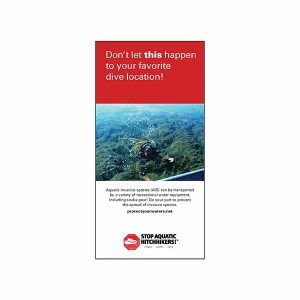 The poster contains native and invasive fish found throughout the Great Lakes region. 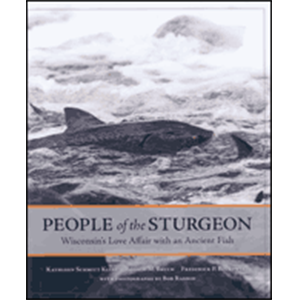 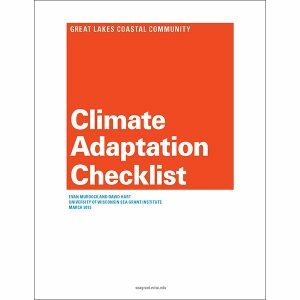 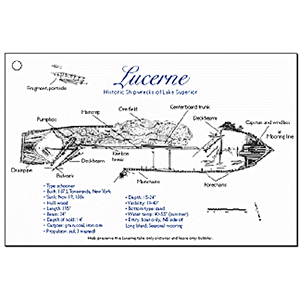 Fish enthusiasts, Great Lakes supporters and educators will all appreciate this work of art.